by the Reina family, the two companies together today constitute the largest private wine group in Sicily. offering a complete range of wines to satisfy every occasion and gastronomic pairing. Salaparuta, founded in 1824, and Florio, launched in 1833.
together today constitute the largest private wine group in Sicily. When purchasing its vineyards, Duca di Salaparuta carefully selected the most suitable terrains for each grape variety. The choice of premium Terroirs, preferably on hillsides, exposed to breezes, on sunlit and healthy ground, has enabled each vineyard to grow its grapes in naturally suitable conditions, without imposing artificial manipulations. This philosophy allows Duca di Salaparuta to reduce human intervention on the vines to a minimum, applying a new concept of naturalness and sustainability. With the purchase of its proprietary Estates, Duca di Salaparuta has focused more and more on the principle of zoning, which in Sicily benefits from the island’s remarkable heterogeneity and biodiversity. This involves extensive study of the unique features of each Terroir and how they influence the qualitative characteristics of winemaking. This helps us to ensure not only that each grape variety can best express its own features, but also that in doing so it defends the concept of biodiversity, of which the island is such an exceptional example. In the agronomic context, biotypes are identical vines which, evolving in different environments, can develop morphological and/or biological differences. The choice of Terroir and the wine practices applied are therefore fundamental in determining the specific features of our products, which vary according to the oenological plasticity of the grape varieties used. The choice of cultivating a vine in one area rather than another leads to very different results and even within the same vineyard the differences can be considerable, because the Terroir may offer unique individual characteristics even a few meters away. Within each Estate, therefore, grapes can be harvested which will give rise to wines with a different personalities. Starting from the 2015 harvest, moreover, Duca di Salaparuta – through two types of investigation, one traditional and one experimental – launched a further technical exploration of its Terroirs, with the following goals: to follow and link the changes in the chemical composition of the grapes during the course of maturation, to compare the kinetics of maturation from one vintage to another (depending on climatic conditions), to compare the evolution of one vineyard with respect to another (depending on their Terroirs) and to predict the date of optimal ripeness, in order to determine when to begin grape picking. The territory of Mount Etna features unique soil and climatic conditions, which attracted the attention of Duca di Salaparuta many years ago. Here, in 2001, the Vajasindi Estate was purchased in the Passopisciaro area of the Municipality of Castiglione di Sicilia. The aim was to launch an innovative experiment inspired by the vision of the outstanding Italian oenology specialist, Giacomo Tachis: the idea of planting a Pinot Noir vineyard. Although a typical grape variety of Northern Italy, Tachis believed that in the volcanic soils and at the altitudes of Mount Etna, Pinot Nero would find favourable conditions for expressing original and surprising nuances. As a result, we decided to plant this vine on the slopes of the volcano and after 5 years of settling into its new environment, the grapes started to produce a wine that over the following years developed to fulfill its full potential. Today the vineyard has developed to its full force and is producing excellent quality grapes. The Pinot Noir that is born here is a wine rich in mineral veins, a gift of the lava composition of the soil: intense and decisive while also preserving the typical freshness of this grape when grown in its classic northern latitudes. Climate is changing all over the world and Sicily is no exception. The increasingly humid and warm summers and the sudden violent rainstorms make it difficult for those who have cultivated native Sicilian vines for centuries, accustomed to a Mediterranean climate. Duca di Salaparuta has been studying climate change for a long time, and based on these studies it chose to buy its Estates in territories with the specific characteristics of altitude, soil drainage capacity, aeration, thermal excursion and exposure to sunlight. This has the advantage of offering a welcoming and naturally healthy environment for the vines selected for growing (such as the Nerello Mascalese, particularly resistant to rain), bringing a notable reduction in vineyard problems and providing a non-invasive care for both the soil and the vine. Their experience in other areas and the studies conducted make it possible for Duca di Salaparuta’s technicians to also offer valuable advice to the company’s 3rd party grape suppliers, who in this way receive the know-how necessary to deal with new rain statistics, optimising vine treatment and working their vineyards accordingly. In vineyard management, green pruning complements the winter pruning work and includes all those manual operations that regulate the development of the vine’s foliage, balancing the relationship between leaf surface and grape production. This practice makes it possible to favour the most suitable branches and above all to create a suitable context for correct bunch ripening, by adjusting their number, their arrangement and their exposure. Initially, the leaves of the vine serve to protect the newly formed bunch, but they must also allow light and air to reach the grapes, thus benefitting their quality and healthiness. When the colour of the young grapes begins to change and the bunch is coloured, it is necessary to intervene manually, to make sure the grapes are exposed to aeration and sunlight, although not excessively so. This encourages correct ripeness, avoids mould formation and offers direct access to the bunch in case of disease. Avoiding areas that are too dense with vegetation between the rows helps protect the vine and, once again, allows specific intervention only if and when it is needed. Duca di Salaparuta combines the expertise of its agronomists with laboratory operations, using latest generation technologies to monitor the health of its vines and of the soil in every phase of the production cycle, thus reducing problems and favouring timely interventions when needed. Every day a Duca di Salaparuta agronomist sets out from the Winery and travels around the island in order to follow the different stages of fruit as it ripens, and to take samples both from the company’s vineyards and those of its suppliers, for laboratory analysis. As well as analysing micro-elements in the soil, the vine’s leaves are also checked, to ensure that the plant is correctly assimilating the substances present in the soil. Frequent sample checking allows us to also verify the presence of any kind of unwanted substances, both in our own vineyards and in those of the outsourced Corvo grape suppliers. This benefits the maintenance of a correct environmental balance, while also protecting the nature of both the soils and the vines. Duca di Salaparuta has long-lasting relationships with a series of high quality Sicilian vineyards who supply grapes for Corvo and Florio wines. The work of these suppliers is monitored at all stages of fruit growth, but they are also carefully advised throughout the year by Duca di Salaparuta technicians, who offer constant support in vineyard management and eventual problem solving. If, on arrival at the winery, the grapes do not fall within the parameters set by the Company and by law, they are rejected without appeal. However, the relationship of trust and collaboration built up over the years has drastically reduced any problems. One of the technologies used for analysing the ingredients of Duca di Salaparuta vines is called Multiplex, and is based on the use of optical sensors that measure the fluorescence of leaves and grapes. This diagnostic and operational tool provides improved information on the physiological condition of the vines and their performance, enabling more precise evaluation of the phenolic ripeness of the grapes. The results are obtained in real time, making it possible to intervene rapidly in the vineyard. In addition, the analysis, as well as being fast and accurate is also more homogeneous, larger-scale and non-destructive: combined with laboratory analysis, it gives us a complete picture, allowing us to harvest each area of the vineyard at the ideal time. The high temperatures typical of Sicily and the distance between vineyards and wine-making Cellars make it necessary to use chilling techniques in order to guarantee high quality grape standards. The cooling machine can lower the temperature of the harvested grapes by up to 20°, thus ensuring the “biochemical block” of processes such as spontaneous post-harvest fermentation, the oxidation of aromatic precursors or the oxidation of the grapes’ phenolic component. The freshly harvested grapes are cooled directly in the countryside and immediately transported to the Winery Cellar: in this way, by blocking the fermentation process, we keep the fragrances and aromas of the fruit intact, along with each grape variety’s special features. In reality, however, cooling processes accompany the entire winemaking process. The controlled temperatures – during various phases – avoid sudden thermal changes, thus preventing a series of potential problems while exalting the natural characteristics of each grape variety. Only grapes that have passed the strict quality checks are finally unloaded for destalking. Each truck of grapes and each grape variety is de-stemmed and processed individually. This allows Duca di Salaparuta to follow the evolution and performance of each territory and each vine separately, before any eventual blending and assembly. The grapes destined to become a Corvo, Duca di Salaparuta or Florio wine have already been subjected to strict controls in their vineyards. However, Duca di Salaparuta – adopting an increasingly consumer-friendly perspective – has invested in state-of-the-art control and monitoring systems to check the materials reaching the Winery, to ensure compliance with current regulations. This laboratory activity is also correlated with the skills and experience of our Technical Team, who assess the quality of the grapes not only from a health point of view but also from an oenological perspective, reserving the right to refuse a batch that is analytically valid but not considered suitable for our quality standards. Each batch of grapes harvested for Duca di Salaparuta is qualitatively guaranteed by the judgement of our Agronomist and our Oenologist, as well as assessed during growth and before picking by Duca di Salaparuta’s Quality Control team. Pressing is the process by which the grapes, after being lightly squeezed, are crushed with a heavy press, separating the liquid part (must or wine) from the solid part of the grape (the marc). In making red wine, the pressing is carried out after the maceration of grapes with their skins, while for white wine it is carried out on the fresh grapes. The soft pressing and draining of the white grapes leads to the gathering of the first liquid, the so-called flower of the wine, the most noble part. Several pressing phases follow, from which progressively less valuable liquids are obtained. Duca di Salaparuta has studied this delicate process meticulously and has established an automated pressing procedure tailor-made for each grape cultivar: this means that we encourage the natural development of the winemaking process to ensure constant quality throughout the vinification, obtaining a consistent product and therefore an outstanding final result. In other words, our meticulous care aims to preserve all the features of each grape variety and protect them all the way up to the final wine glass. One of the key processes of vinification. This procedure, mainly used for the vinification of red grapes, is based on keeping the grape skins in contact with the must during the fermentation process. The maceration of red grapes helps to give the wine its specific colour, as well as making it particularly rich in polyphenols and aromas. This is usually a relatively short process, and is carefully and constantly monitored. It is particularly important because it contributes to preserving the tannins – which give the wine its final structure – and all the grape cultivar’s typical aromas. Duca di Salaparuta also carries out maceration on certain white grapes, such as Moscato and Zibibbo, intended for use in Florio wines. Duca di Salaparuta has invested extensively in automation and quality winemaking processes in its Winery Cellars. 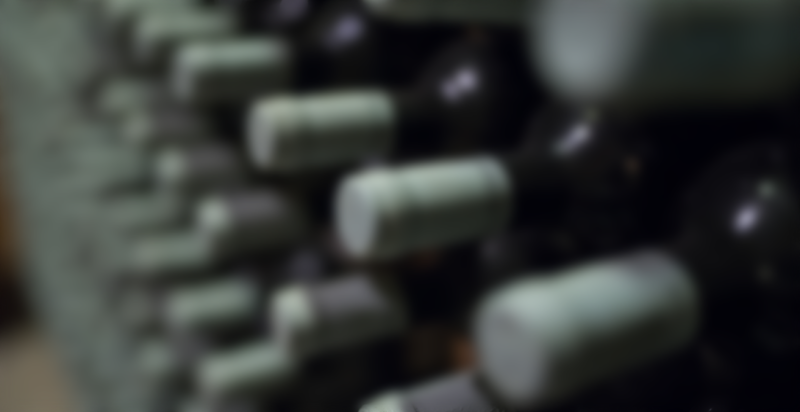 All the production processes, from the arrival of the grapes in the winery to the storage of the finished product, are now subjected to advanced computer supervision, thus ensuring total product traceability. All the oenological phases are automated and monitored by a state-of-the-art information system, a kind of highly detailed oenologist’s diary. The same applies to the systems for sanitising plant equipment, ensuring “clean” winemaking processes and perfect sterilisation of vats and tanks after each process. Even the cooling system and the maintenance of the right temperature are guaranteed throughout the winemaking process by electronic systems, as is the correct functioning of the tanks and the bottling system. The use of these technologies allows us to minimise production anomalies, to protect the consumer, and to offer the authentic expression of each territory. Duca di Salaparuta chooses the most suitable cork for each type of wine, its longevity, its sensorial characteristics and the type of bottle used. One-piece corks in natural Portuguese cork for still wines, agglomerated cork stoppers for white wines to drink young, and ‘birondellato’ twintop corks for sparkling wines… Every wine has its own cork. Each small batch of corks is verified using chemical and microbiological checks, and by our Technical Team tasting panel. Acceptance of the batch of corks is based on the combination of all the checks carried out, all of which aim to guarantee the highest quality and to minimise the risk of defective cork odours. The choice of the best supplier is fundamental but not sufficient in itself: the corks must also be analysed using oenological, analytical, critical and innovative techniques, based on latest generation technologies. Despite the importance of technological innovation, in the genesis of a historic wine or in the creation of a new wine, the human factor remains central: people who live in close, daily contact with the grapes, guiding their growth to the point where they become both a total expression of a territory and a materialisation of human vision. The expertise consolidated over the years, the intuition and the intimate knowledge of the vineyard and the vine… these are the details that define the personality of a wine and that tell a tale to those who taste it. The marriage between modernity and craftsmanship determines the success of a company, but since technology is within the reach of every company, the truly distinctive factor remains the individual who with his personality, his culture and his vision can shape the history of winemaking. The introduction of systems for monitoring and studying grape varieties and terroirs is an important factor in the development of a modern concept of naturalness. A new approach to agricultural production, more carefully pondered and selective, which shifts the focus away from thinking of the vineyard as a single entity and instead focuses on the single plant, cared for according to its needs and its potential. However, this intimate and capillary approach is also handed down directly from centuries-old expertise that constitutes an invaluable heritage. The experience and manual skills of people who live in the territory and know every nuance of every grape variety is integrated daily with the latest control systems. A blend that guarantees the health and maximum quality yield of the grapes in the Cellar. Time plays a vital role in winemaking. Respecting nature’s time-scales and investing patience in each wine’s own maturing rhythms are vital to the balance of the final product. Whether it’s a white like Corvo Glicine, made to be drunk young, a deeply aged red like Duca Enrico or a Florio Marsala that is potentially eternal, the right time for every wine is ordained purely by the wine itself. The slow evolution in barrels inside the Marsala or Casteldaccia Cellars – and the necessary process of refinement in bottles before being put on the market – guarantee a product with an authentic and clearly defined personality. For any Florio Marsala, in particular, time is a precious ingredient that endows new nuances and richness to wines that do not fear contact with oxygen or the passage of time. The technique of Batonnage involves “stirring” the fine sediment of lees with the main body of wine as it ages in the barrel, an act which endows a wine with richer olfactory complexity and greater palatal intensity. It is a particularly important process for white wines such as Bianca di Valguarnera and certain reds, including Duca Enrico and Nawàri, which in the early months mature in contact with their own yeasts. Traditionally this is carried out manually with a tool or stick whose movement stirs the wine, sending the lees deposited on the bottom of the container floating upwards, but in the Duca di Salaparuta winery cellars it is performed using the Stop & Roll system. Thanks to this innovative technique, for the first three months of the wine’s life company personnel can easily rotate the barrels by hand every two or three days, sending the yeasts back into action. This procedure also proves useful for reducing the need to top-up reduced wine volume inside barrique casks. Even if the cask is fully capped, in fact, the wine is subject to minimal evaporation and therefore needs to be topped up from time to time. Florio manually prepares the must used for the production of its renowned Marsala Wines. The must is a liquid compound obtained by pressing grapes, but not yet fermented. It consists mainly of juice and natural sugars from the grapes. The quality of the must is vitally important for the definition of the fragrance and the sugar content of wines such as Targa 1840, Donna Franca and Baglio Florio, this is why Duca di Salaparuta has it made by its own technicians in its Marsala Cellars. Our must characterises our products in a unique way, making them recognisable and truly unforgettable.